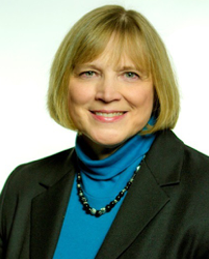 For more than 30 years, Cynthia Tobias has been teaching people of all ages how to discover and use their natural inborn learning style strengths to succeed in virtually any situation. She is a popular speaker whose insights, humor and practical strategies have encouraged and motivated educators, parents, businesspeople and students to focus on strengths to achieve success. With a special gift for understanding and bringing out the best in the strong-willed child, Cynthia has brought hope and life to countless families, but she remains humbled by the way God uses her message to make such a difference. It was September, 1971 and I was only a few days away from my 18th birthday. I had just graduated from Las Vegas High School (my dad was pastoring a church there) and as a city girl I was already struggling to adjust to being in the rural city of Nampa, Idaho where I was about to begin my freshman year at Northwest Nazarene College. I stood at the foot of the clock tower in the center of the campus and had a little conversation with God. So after graduating, I spent three years teaching public high school in Idaho. I learned at least two important truths: 1) Never tell God what you won’t do, and 2) I loved teaching and Idaho! As enthusiastic as I was about teaching, I was surprised to discover how resistant students were to learning. So many of them seemed frustrated, bored, and unchallenged. I began a passionate search for keys to unlock the potential that was so evident as I got to know these future world-changers. Every summer I would go back to work in “the real world” for three major reasons: 1) to stay diverse in my skills and training to be sure I wanted to teach more than anything else; 2) to earn money for continuing my education; and 3) to find out if my students were gaining the knowledge and abilities they would need to be successful after high school graduation. Right away I made one major discovery: you tend to get hired for most of what you got in trouble for in school! Think about it—what are we usually looking for in the best employees? Good social interaction, high energy level, independent thinking skills. And yet in school we not only didn’t teach those skills—we were often actively discouraging them. 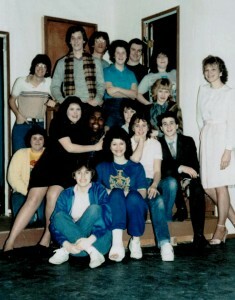 After three years of teaching, I moved to the state of Washington and taught English, speech, and drama in an urban public high school. During my first summer I took a ride-a-long with a police officer friend, and I was hooked–I knew I had to be a cop for a while. 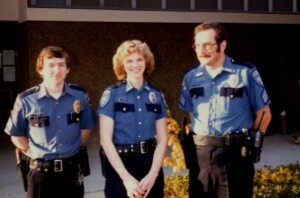 I wasn’t ready to quit teaching, so the police reserve program appealed to me. As a fully commissioned reserve officer in the city of Des Moines, Washington, I worked part time (evenings and weekends) during the school year and almost full time during the summers for six years. I did not get a salary, but I did occasionally get paid for some outside security work through the city. Oh, and I did have the assurance of a $100,000 life insurance policy if I were killed on the job. I loved being a cop—and I still loved being a high school teacher. My students couldn’t wait to hear a quick recap of my weekend on Monday morning—and I got so many chances to weave in life lessons for them. Because I didn’t work the streets in the same jurisdiction as I taught, I never arrested any of my students or their family members, so they felt safe in asking me a lot of questions they couldn’t ask anyone else. By the way, I got a lot of respect in the classroom! It was during my fourth year of teaching that I discovered something that revolutionized the way I taught. Seattle Pacific University hosted a weekend seminar with a leading educational expert and primary researcher who specialized in the field of “learning styles.” This was a new term to me, so I attended the seminar with about 300 other teachers. The researcher spoke with urgency and passion. “There are so many ways to learn,” she told us, “and we’re using so few of them in the classroom.” She went on to outline how differently each individual is wired to perceive and process and make decisions about information, and how discovering and using those learning strengths can revolutionize the way we teach. Seattle Pacific was offering a Master’s degree with Learning Styles as a specialty, and I immediately signed up for it and began studying the research. Wow—I’d never read such boring research on how to make learning interesting! I remember thinking: No wonder we haven’t been using this stuff—it’s been around for decades, but if teachers and parents really wanted to know about it, all they’d have time to do is read the research. 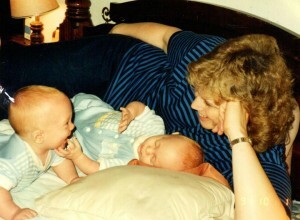 In April of 1991 I gave birth to twin sons, Michael and Robert, born two minutes apart. From the beginning they looked like “Pete and Repeat,” but it was immediately evident that they were opposite in personality and learning style. God had given me my very own in-home laboratory! I had teaching experience, a variety of business experience, and adult education experience—but nothing compared to the new world that had just opened up to me as a mom. Now my theories and strategies were being put to the test in the most important arena of all—and if I couldn’t make it work here, I believed I would have nothing to genuinely offer to the rest of the world. Fortunately, I discovered that it was never too early to effectively use my knowledge of learning styles. I also realized that there were many challenges that went beyond learning styles. Late in 1992, I got a phone call from a woman named Gwen, who introduced herself as an acquisitions editor at Focus on the Family in Colorado Springs. She told me it had come to their attention that I was teaching learning styles seminars and their contact had given them some of my handouts along with a ringing endorsement of what I was teaching. Then she asked me a question. “Would you be interested in writing a book for us?” My life was about to change forever. Of course, if I had known at 18 that it would take over 20 years to see my dream come true, it might have been too discouraging to go on. But that’s not how God works. He weaves our experiences and detours along the journey into a wonderful tapestry that serves as the perfect background for what He has planned. I knew I’d been called to reach those educators, parents, and others who were in the trenches—the ones who fervently wanted to make a difference for their students and children but didn’t have time to wade through the research. I worked hard to make sure I could be someone they could trust to be grounded in proven theories while giving them practical and immediately useful strategies. As I studied the research, I tried it out on my own students in the classroom. I couldn’t personalize the learning for every student, since I had 180 of them every semester, so I told them what I was learning and pointed out how I was changing the way I teach. I showed them how they could figure out their own learning strengths and helped them look for ways to adjust to situations that didn’t match the way they learned. The results were amazing and immediate. It would take a whole book just to tell part of the story of students whose lives were changed, and even 30 years later I have over 20 students who have connected with me on Facebook to tell me what an impact learning styles had on them. It wasn’t me—I was just the messenger of something much bigger than any of us. Many students said that for the first time they felt smart and valuable as they began to have confidence in their ability to learn and achieve. I wasn’t teaching at a private school or even a public school in a rich exclusive neighborhood. We were in a lower to middle class public school and I was teaching kids who had often been relegated to average or below average classes because of a perceived lack of motivation or ability. But suddenly these “below average” students began to see A’s and B’s on their tests and assignments, and the rest of the world began notice what I’d seen in them from the very beginning: they were bright, creative, intuitive learners full of exciting potential. As part of my graduate requirements, I participated in an internship through SPU, teaching learning styles seminars to teachers and parents. As a result of these seminars and along with further study, one of the specialties I developed was understanding and dealing with the Strong-Willed Child. During the last two years of graduate studies, I quit my teaching job and took a position as a paralegal for an immigration and naturalization attorney in downtown Seattle. Working 6 a.m. to 2 p.m. gave me time to attend classes on campus and then give evening presentations on learning styles and strong-willed children. 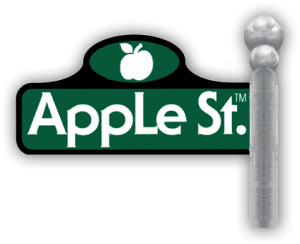 On January 1, 1987, I opened my own business, soon to be called Apple St. LLC. It would be a financial challenge and a struggle to survive for the first few years, but I believed it also represented a big step to the next level in making a difference in education. I was loving what I was doing, even if I wasn’t making any money teaching the extra seminars, and in 1986 I received my M.Ed. I also became engaged to be married in September of 1987 and resigned my position as a reserve police officer and program director. I have been an author and speaker for over 30 years now, and my 13th book was just released in 2016. I’ve been to all 50 states several times over, and 6 out of 7 continents (I can’t find anyone in Antarctica that needs me!). 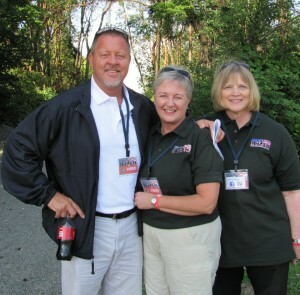 I’ve had the privilege of being on the radio, making television appearances, and writing numerous magazine articles. I still stand in awe that God has allowed me to be a messenger for something so exciting, encouraging, and truly life-changing. 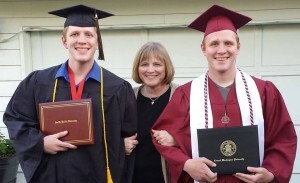 My twins both graduated from college with honors in the summer of 2013. Mike is working in the Office of Public Defense for the State of Washington as he completes his graduate degree. Robert uses his love for children and youth in his work with school enrichment programs and theatre performances. Maybe you had a dream so long ago that you’ve given up on ever having it come true. But if God placed that vision of what you’re supposed to do in your heart, it’s not too late. You may have taken some detours along your journey, but nothing is ever truly wasted. I don’t know about you, but I can’t wait to see what happens next! What has your experience prepared you for?